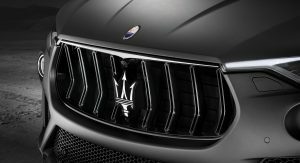 Following a handful of teaser images, Maserati the unveiled the Levante Trofeo in New York. 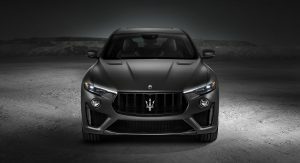 Designed to battle the Porsche Cayenne Turbo, the high-performance crossover has a twin-turbo 3.8-liter V8 engine that is built by Ferrari. It produces 590 PS (433 kW) and 730 Nm (538 lb-ft) of torque. 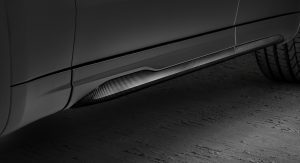 This enables the model to rocket from 0-100 km/h (0-62 mph) in 3.9 seconds and onto a top speed in excess of 300 km/h (186 mph). 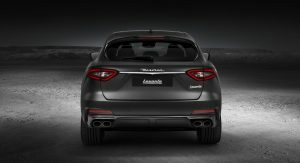 Besides the almighty engine, the Levante Trofeo has been equipped with an aggressive exterior that includes Full Matrix LED headlights, a piano black grille and muscular air intakes with honeycomb mesh inserts. 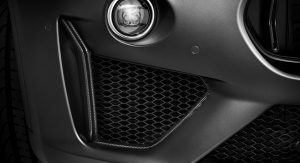 The sporty styling cues don’t stop there as designers also installed a ventilated hood and an assortment of carbon fiber components. 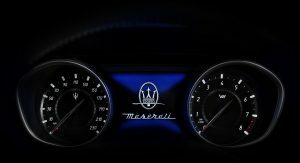 Other unique touches include “Saetta” Trofeo logos on the C-pillars and massive 22-inch forged aluminum wheels which are the largest ever fitted on a Maserati. 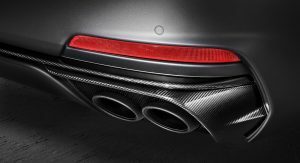 A closer inspection also reveals a four-tailpipe sports exhaust system and a body-color diffuser. 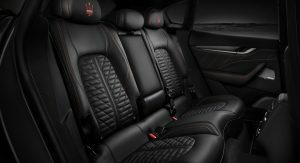 Moving into the cabin, drivers will find sculpted sport seats which are covered in Pieno Fiore natural leather upholstery. 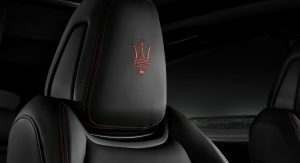 The model also has contrast stitching and Trofeo logos embroidered on the headrests. 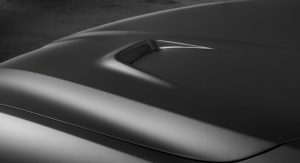 The sporty philosophy is apparent thanks to matte carbon fiber trim, paddle shifters and a unique instrument cluster with V8 badging. 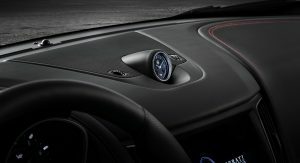 The crossover also boasts a dashboard-mounted clock, unique floor mats and a 17-speaker Bowers & Wilkins premium surround sound system. 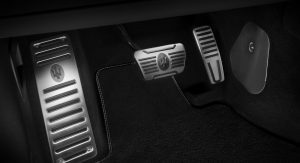 Since the Levante Trofeo is all about performance, the company created a new Corsa driving mode with a launch control function. 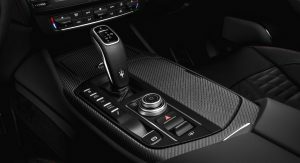 Maserati says the mode improves engine response and gear changes while also reducing the ride height and firming up the suspension. 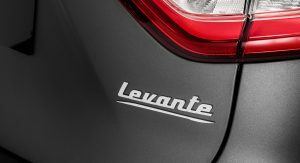 The Trofeo will also become the first Levante to come equipped with the Integrated Vehicle Control system. 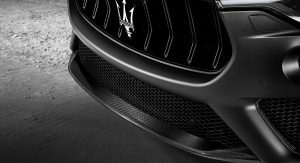 The automaker says it will provide a “genuine Maserati driving experience” by preventing vehicle instability rather than correcting issues after they occur. 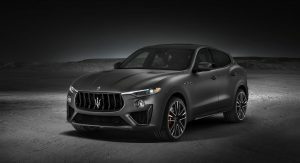 The Maserati Levante Trofeo will go into production this summer and the company will offer a launch edition exclusively in Canada and the United States. 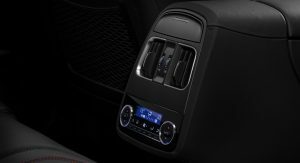 It features dark exterior accents, exclusive interior combinations and a launch edition badge on the center console. This looks really good. I think the big wheels really fit the Levante well. When it has smaller rims, it looks a little lost, like it is riding on stilts. It’s about time. Putting some premium back into this thing. 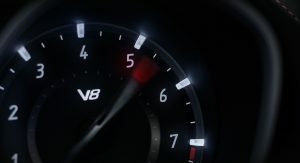 Now Ghibli V8 please. Probably still won’t be a premium SUV, but it will be good for the brand’s image. They needed that for a long time. “still won’t be a premium SUV”? Go back to whatever hole you crawled from. it’s a dark hole, but it has an elevator, no need to crawl ;-). 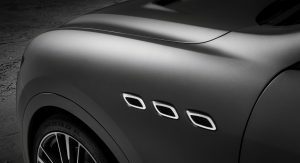 And if you’re curious like me, or have the chance to seat in great cars and rarely drive some… you might be desapointed by Maserati. 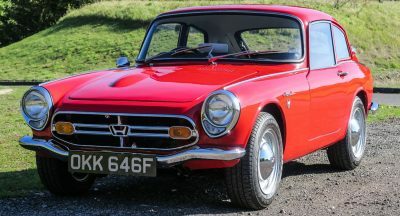 I’know my attention to details when it comes to cars is OCD level, but no need to be an expert when you get in one of those to realize… the price is hard to justify. Difference between you and me is that I actually own one of their cars, and you are just an Internet kid that stares at some pictures and regurgitates whatever demuro says. Go see one with your own eyes, and we’ll talk after. 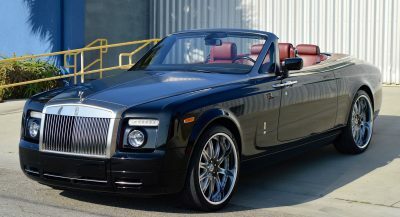 Ok Grand-Papa, well if you are European please invite me to drive your car since I’ve only been a passenger in one, promise I’ll have a blast. As for being a kid, prepare yourself, you’ll be desappointed. Just a warning, I almost killed myself a few times behind the wheel so seat belts on please! 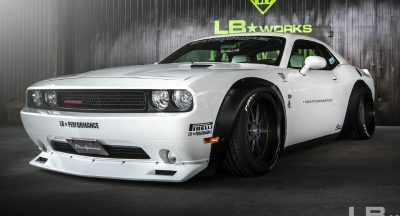 It certainly fast and looks good, but would it be enough to attract customer to buy the regular model? 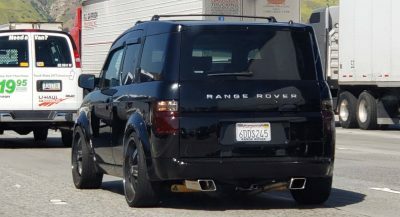 What makes you think the “regular” model doesn’t sell. 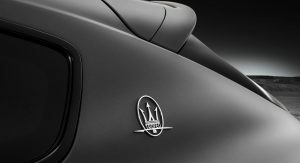 Look I know you are Maserati fan, and I’m in no way lowering them, but while the sale is increasing (yes I look at boring sales data). It isn’t what FCA wants, nor that it’s comparable to car like Range Rover but again Rome wasn’t built in a day. I think 60k units / year is pretty close to the maximum of 75k units / year they imposed 5 years ago. How is that not what FCA wants? Still needs a lot of work. Getting rid of those out of place round lights at the front is a start. How are they out of place? 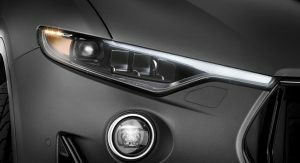 Because the headlights are angular and they are not? They work with the design. You may as well say get rid of the round wheels. IMO they look like an afterthought just like they do on an X5. The wheels have nothing to do with it. So it has 90hp more than the Stelvio Q but slower 0-100km/h. How much does this weigh? 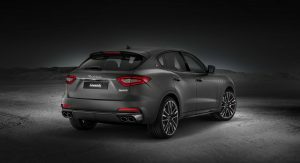 The Levante is a way bigger car (5 meters) and it weights 500kg more than the Stelvio which is very light for is category. I thought it was going to be the GTS. 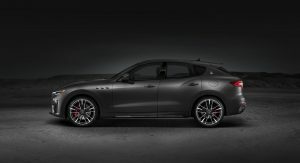 Ok, anyway, how about some news on the Alfieri? I know they are going to make it but I haven’t heard anything as of yet. 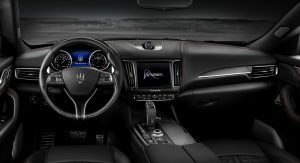 For the love of god, they need to fix that awful interior. 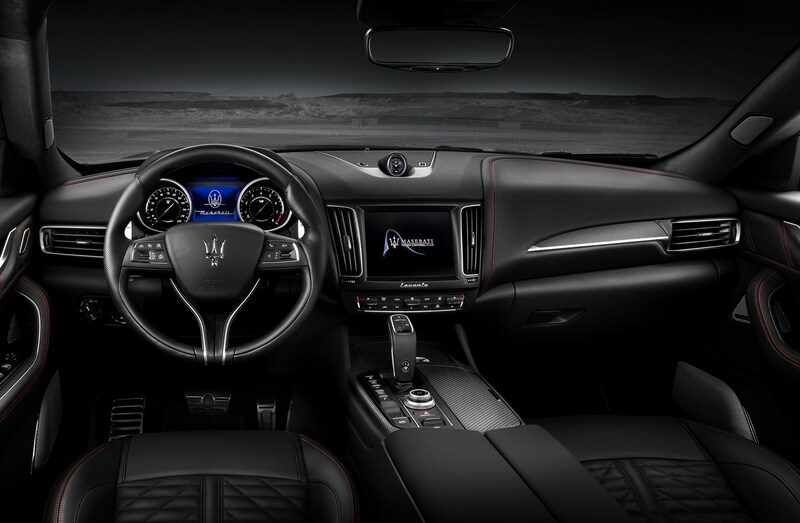 I’m not paying $100,00 for that cabin, and it’s not a good habit for Maserati to count on buyers focusing on the nerfed Ferrari 488 engine that powers it. That being said, this is a good step. But more needs to be done.